France, in the 19th century, had different types of government. First Republic, then The Consulate with Napoleon as Premier Consul, Empire, Kingdom Restoration 1815-1830, The Bourgeois Kingdom 1830-1948, Second Republic 1848-1852, Second Empire 1852-1870 and finally third Republic from 1870. More than that, France knew emperors or kings that were forced to leave the throne, as Napoleon in 1814 and 1815, Charles X in 1830, Louis Philippe in 1848 and Napoleon III in 1870. Each of these monarchs had a son, a presumptive heir of the throne. And all of the royal heirs minded some rare coins, with their heads and titles, in a time that they weren’t the legal rulers of their country. Napoleon had a son, Napoleon II, with Maria Luisa of Austria. He was born in 1811 and died very young, only 20 years old. In 1814, when Napoleon abdicated for the first time, he let his son, “the prince of Rome” as emperor. Napoleon II didn’t mint any official coin, in his only day of reign but patterns are known. 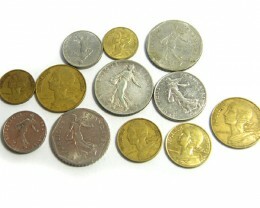 In 1815 and 1816, some coins were minted. On one side, the young child is looking left. The legend is as same as his father (who died in 1821) NAPOLEON II EMPEREUR. 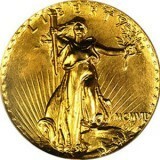 On the other side, the image is much alike his father’s coins, a value in laurel wreath and the EMPIRE FRANCAISE up. 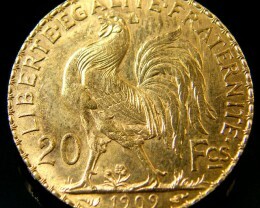 Coins had the value of 1, 5, 10 centime, made from bronze, ¼, ½, 1, 2, 5 francs in silver and 20 francs in gold. 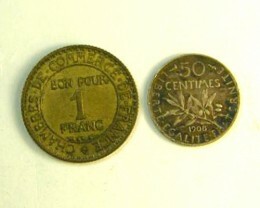 The coins were the same size and weight as the official coins, and also some patterns in bronze are known. Henry V, duke of Chambord, or Henry d’Artois, was born in 1820, as the son of Charles, the son of Charles du Berry and the grandson of Charles of France, king from 1824 to 1830. His father died in the same year of his birth and he became the royal heir. In 1830, his grandfather was forced to abdicate. Henry was named king for one week, from 2 to 7 august 1830 and then forced to go in exile. From 1844, he was considered by the Bourbonic Monarchist the legitimate king of France. 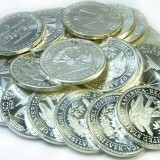 Some coins were minted. The first were minted in 1832-1833, and have the young children head on one side and on the other the value or the coat of arms of the Bourbons, as the official coins from 1814-1830. In 1858, Henry, age 38, minted other coins, with his mature portrait, as same as the previous ones and finally in 1873, when he was 53 and France a republic… Also in 1873 he had some supporters that were willing to bring him as king but his condition (abandoning the tricolor, the blue-white-red flag in favor of the old fleur du lit and many others) made this thing impossible. Louis Philippe d’Orleans was king since 1830, when the Revolution proclaimed him as constitutional king. He ruled until 1848 when he was overthrown by another revolution and he was forced to flee. His heir, Louis Philippe II, was considered by the Orleans Monarchist the legal heir. He didn’t mint any coins but tokens are known. Napoleon III was the nephew of Napoleon I. In 1852 he transformed the second Republic, in which he was the president, in an Empire, assuming the title of Emperor, as his uncle. He was emperor until 1870 when he was forced to abdicate after the military disaster, caused by the defeat of Sedan. He had a son, Napoleon also, who became the symbol of the Napoleon Monarchist, with the symbolic title of Napoleon IV. 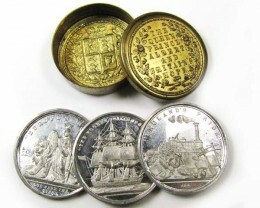 In 1873 he minted some coins, similar to his father, with the imperial eagle and coat of arms. 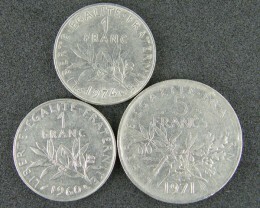 The values were from 10 centime to 5 francs, with the same appearance and weight as his father coins. He died young, in 1879 (he was born in 1856) in Africa and caused a major shock for his supporters. 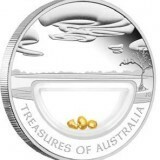 These coins are now rare, the mintage was low and they were distributed only to the supporters of the cause. Also these coins were considered dangerous by the rulers of the day and not rarely the owners were put to jail because of them.